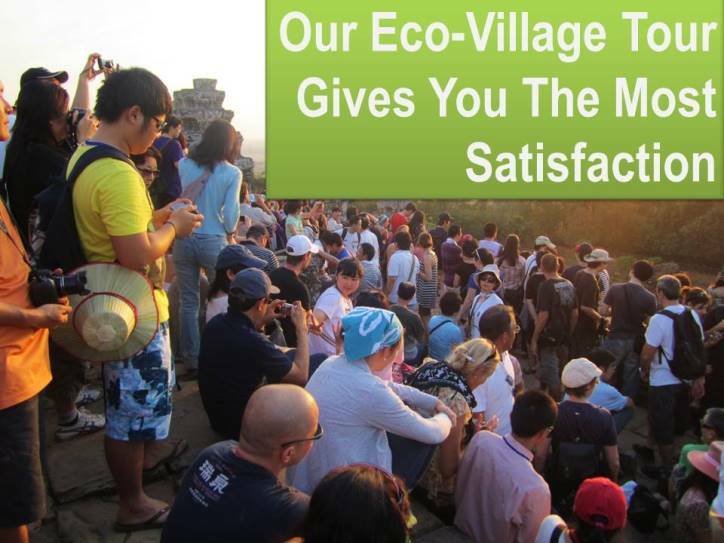 Eco-Village Tour gives all visitors the most satisfaction travel and is about life changing travel. Eco Village Tours not only to provide rolex replica visitors to Cambodia and beyond with memorable and meaningful tailor-made travel experiences but also to create an income generation for a sustainable funding model to transform lives of children at schools and to support local communities of Siem Reap. 100% of all profits are donated to the CHAB Schools. Funding education through tourism is at the heart of our Eco Village Tours — it´s the very reason we were founded. 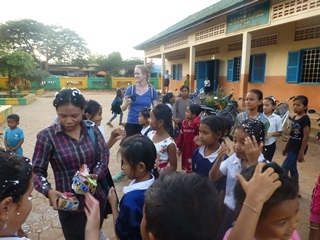 With the firm belief that amazing travel can simultaneously change the lives of the community´s most and least fortunate all of our profits are donated to Eco-Village Tours Schools, which to date supports over 200 children across 2 Schools in Siem Reap through targeted educational programs. By choosing to travel with our Eco-Village Tours you are already helping to make a difference. Visiting Cambodia is an education - at least for those who spend some time to get away from the main tourist trails.Eco-Village Tour organizes trips for school parties, university courses and amateur archaeologists. 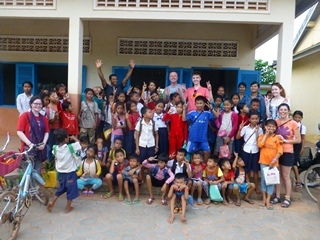 Cambodia is an ideal venue for school trips and expeditions - offering a unique perspective on the tragic outcomes of Cold War politics in the latter half of the Twentieth Century. The culture is now being reborn, and is a fascinating developing economy, with a wealth of ancient history. As the country has found stability, individuals and organisations such as the Cambodian Living Arts are striving to rebuild Khmer culture through art, ensuring traditional arts are not lost. Education doesn't stop at schools, and Eco-Village Tours also welcomes university field trips of students.